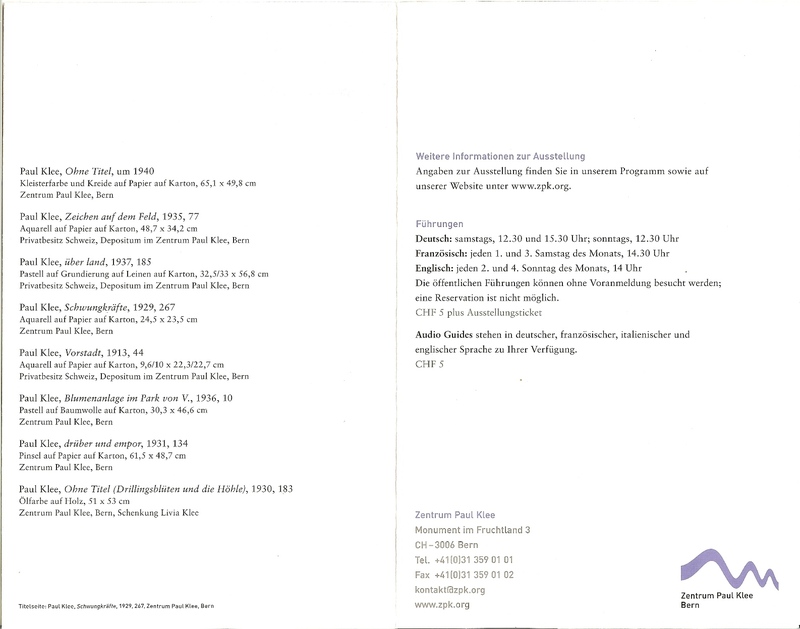 While we were at the Zentrum Paul Klee to see a Paul Klee exhibit we also got a chance to see another exhibit sponsored jointly with the Kunstmuseum, Bern. The exhibit was called Lust and Vice. 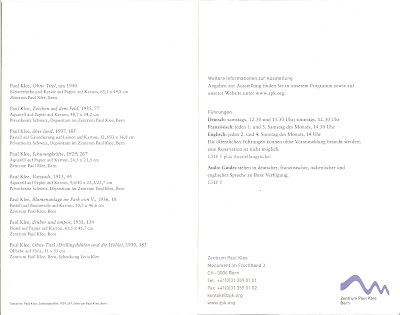 The 7 Deadly Sins from Dürer to Nauman (15 October 2010 – 20 February 2011). Part of the exhibit was at the Zentrum and part at the Kunstmuseum. From Albrecht Dürer (1471 – 1528) to Bruce Nauman (1941 - ) artists have been preoccupied with the theme of the sin. Christianity has thought it through and given us a short list of the sins considered deadly, the Seven Deadly Sins, usually given as wrath, greed, sloth, pride, lust, envy, and gluttony. The exhibit catalogs these sins in a variety of media. Some of the exhibit works and some doesn’t. It was exhausting (or maybe we were) to go through it all. Luckily, exhaustion isn’t on the list of seven. 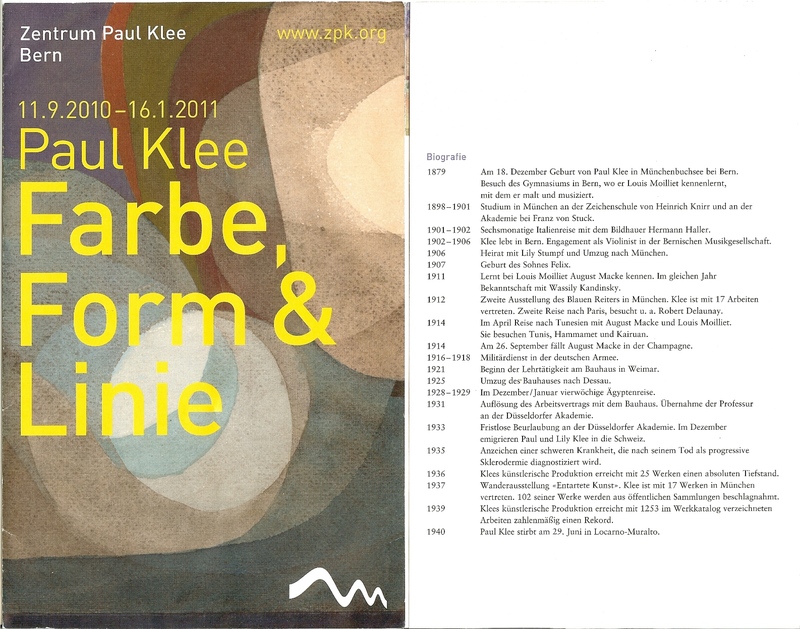 The exhibit Paul Klee – Farbe, Form & Linie (11.9.2010 – 16.1.2011) was an exhibit we saw at the Zentrum Paul Klee, Bern. Paul Klee (1879 – 1940) was a German-Swiss painter who produced works in the early twentieth century that crossed several styles including expressionism, cubism, and surrealism. The exhibit’s goal was to “examine the way in which the oeuvre of Paul Klee addresses the elements of picture composition and design. One of its focal points is the interplay and tension that exist between the main elements of pictorial representation, i.e. line, form and color.” It’s hard to appreciate that tension, especially on the first exposure to Klee’s work beyond what you might pick up from popular culture. Klee’s shapes and colors seem simple and innocent and it is easy to dismiss them as something you’ve seen a thousand times before. Yes, you probably have, just imitations and homages and distillations. You have to remind yourself of the time he lived and worked. Not until after the exhibit, in further research, did we appreciate Klee’s struggle to master color (fabre) theory. The building that houses Klee’s collection (about 40% of Klee’s pictorial work) is the Zentrum Paul Klee in Bern (outside city center), Switzerland. The iconic, undulating building designed by the Italian architect Renzo Piano is a work of art itself. We got to see it under a blanket of snow and it was a welcoming relief to enter and shed our jackets and the cold. There are some great interior views of the building at the architectural-oriented site, arounder.com. Here’s the entrance of the Zentrum. 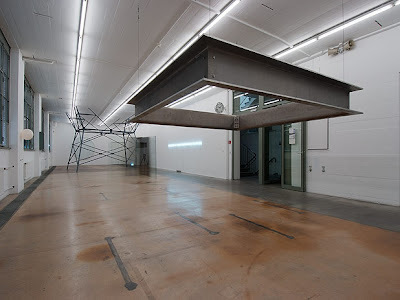 One of our “snow days” in Morges with Wild Dingo was to visit Geneva’s Museum of Modern and Contemporary Art Museum which goes by the acronym MAMCO. We remember fondly being taken to task by a Seattle gallery owner about the difference between “modern” and “contemporary”… who knew he would be so picky about semantics? The difference between modern and contemporary is that modern refers to Modernism – an art movement or practice, and contemporary refers to a time, now minus 10 to 50 years depending on who you ask, that characterizes when a piece of art was created. So, at MAMCO, the distinction between modern and contemporary was lost on us and thankfully no one quizzed us. We walked around bewildered. We really didn’t know what to make of what we saw. We laughed, we winced, we explored, we delighted when we decoded a piece or installation, and we even relieved ourselves in an art piece. Well, let us explain. Two of the installations were bathrooms, Toilettes femmes designed by Étienne Bossut, Philippe Parreno, Stéphane Steiner and Toilettes hommes designed by Philippe Ramette, Stéphane Steiner. Well done pieces and functional. There is work at MAMCO that we never had seen before and quite possibly may never again. For example, an exhibit on Gérald Minkoff, Un portrait and Bujar Marika, Paradox Park. So on the whole, MAMCO was an interesting and thought-provoking stop. What else could you ask of modern, uh, we mean - we think - contemporary art? We took a train from the Morges train station to Geneva’s and then jumped on a tram to Plainpalais. From Plainpalais go west to find the 10, rue des Vieux-Grenadiers (approximate location). We ended up taking the train. The Universe of Particles is an exhibit a CERN that you can visit for free. 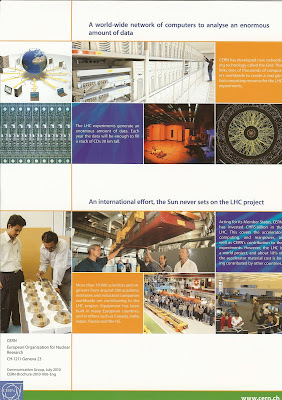 The exhibit is housed in the Globe of Science and Innovation across the road from CERN reception (location). How ironic that the size of the globe is about that of Saint Peter’s in Rome and that CERN chooses to use that analogy, at least on their web site. One structure stands as symbol of an organization that asks questions about the universe and puts the answers through rigorous analysis. The other structure stands as quite an impressive architectural feat from an organization that took 359 years (with a 13 year investigation!) to acknowledge that Galileo was right: the earth revolves around the sun. Sorry, that still makes us wince here at Travelmarx. We hold grudges. Back to the goodies at CERN. Also accessible from the CERN reception area is the exhibition Microcosm that helps give you the background you need to understand what goes on at CERN. It is free to visit as well. 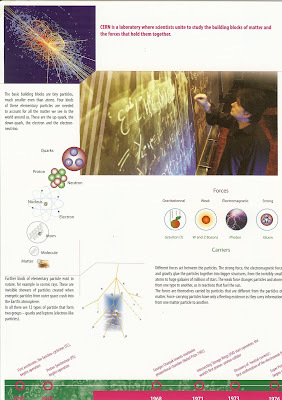 A good order would be to visit Microcosm first and then go to the Universe of Particles exhibit. Okay, back to religion. While at the Microcosm exhibit, we wandered around, mostly alone with the exhibits and then suddenly a small group appeared and gathered in a corner to hear a presentation that what is being discovered at CERN was in fact in harmony with religious belief. We listened for a few moments and then left to head over to the Universe of Particles. 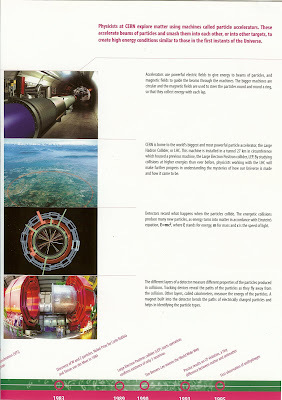 At the exhibit in the globe, we found our own kind of prophet, a docent who had worked at CERN for many, many years. He didn’t turn any water into wine, but was able to talk about what was going on at CERN very articulately, enough for us. The Universe of Particles has lots of cool information on very mod looking information stations (globes) with innovative touch interaction methods. The overall experience, changing colors, periodic mini-shows and the occasional docent-prophet is worth a visit. 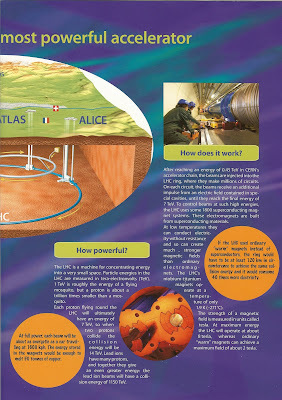 For details on the guided tour at CERN, see this entry. During our week in Morges we encountered snow that eventually postponed our flight from Geneva to London for two days (not so bad – more time with Wild Dingo) but also opened up other possibilities. 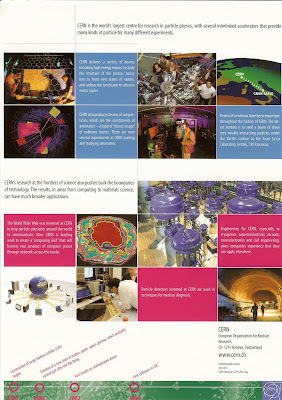 One of those possibilities was getting on a guided tour of CERN. On the CERN web site it suggests that tours should be booked in advance and when we inquired the day before we actually go, there was no space. 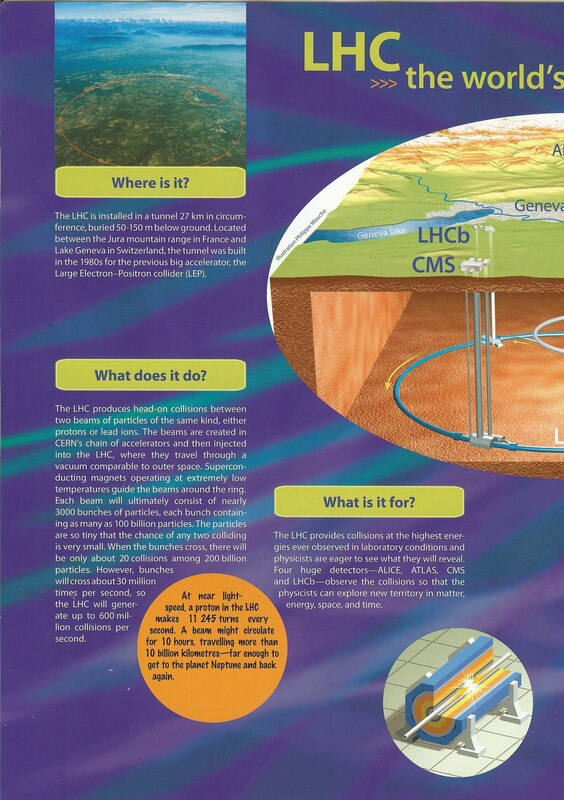 We didn’t think about touring CERN before we left on the trip, it only occurred to us while we were in Switzerland. 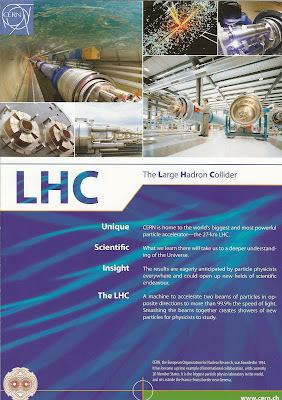 A little disappointed with the availability of the tour, we decided to visit CERN anyway and at least see the Universe of Particles exhibit. But, the weather played in our favor it seems because there was space on a group tour – no shows. Hah, we were in luck. 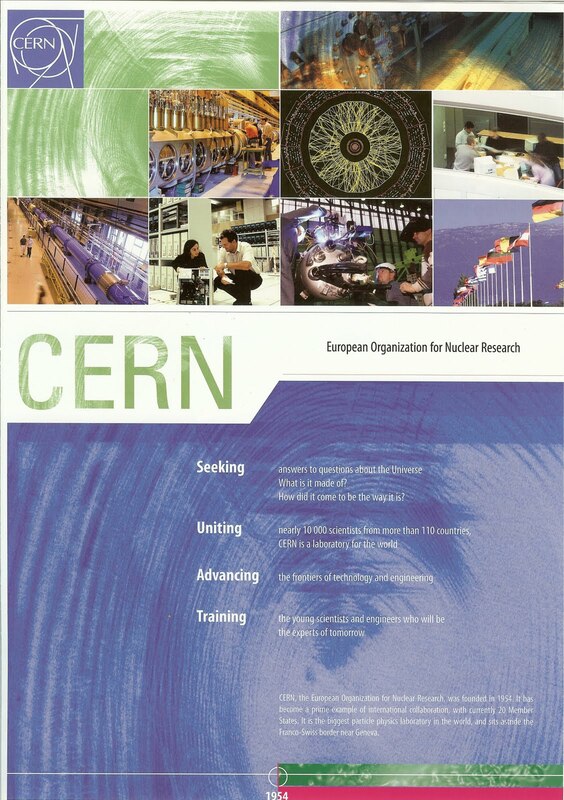 CERN stands for Conseil European pour le Recherche Nucléaire, or in English, the European Organization for Nuclear Research and it is headquartered just outside of Geneva straddling the Swiss and French borders. At CERN, particles are smashed together in high-energy physics experiments to understand questions like how the universe began. The building blocks of matter and the forces that hold them together are studied with particle accelerators. In accelerators, particles reach speeds near that of light and are smashed together or against a target to see what results. The main accelerator these days is the Large Hadron Collider (LHC) which is housed in a tunnel 27 kilometers (16.8 miles) in circumference and 50-100 meters (164 - 328 feet) underground. The tunnel runs under Switzerland and France. So we lucked out and caught an English tour that is usually booked out months in advance. On the tour a guide takes us step by step through step through the construction of an accelerator section such as the section that would make up the Large Hadron Collider (LHC). 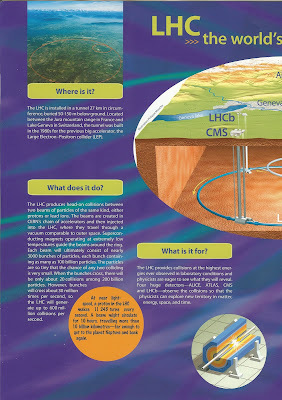 We don’t actually visit the LHC which is operating, but a facility that tested the sections. The tour is great – geek heaven. It lasts from 10:00 to 12:00 and then we spend a few hours at the Universe of Particles. For details of that visit, see this entry. After our two nights in Pontboset, it was time to head out of Italy to Switzerland, specifically, Morges (outside of Geneva). Morges is the European operations of Wild Dingo and it was time to pay tug. When we looked at routes from Pontboset to Morges, the quickest route is through the Great St. Bernard Tunnel, but people advised that us to not go through that route for snow reasons and to take the Mont Blanc Tunnel. The St. Bernard Tunnel is about 1500-1600 feet higher in altitude. So we opted for Mont Blanc since we weren’t pressed for time. The difference between the two routes was 15 minutes and about 25 miles so not a hard decision. Both tunnels are named for nearby geographical features, the St. Bernard Tunnel for the Great St. Bernard Pass (at 8100 feet) and Mont Blanc Tunnel for Mont Blanc (at 15,782 feet). One of my favorite memories was a large postcard I received from my grandparents from the St. Bernard Pass featuring a St Bernard dog in laying a meadow of alpine flowers. I can remember that card like it was yesterday. The pass is named for Saint Bernard of Menthon who founded a hospice for travellers and used dogs for rescue that came to be known as St. Bernard. Before entering the Mont Blanc Tunnel we stopped and parked and went into the rest area where we were confronted with a large display of pasta. Last stop for pasta before you go to France where pasta just ain’t pasta! We passed up the deal. We didn’t think Wild Dingo would need that much pasta. Besides, we were carrying a booty of fruit we got from Cascina Bringin (details). Drilling for the Mont Blanc Tunnel was started in 1946 and opened to traffic in 1965. The tunnel is a single gallery with a single lane going in each direction. The Italian side of the tunnel is in Courmayeur, Aosta Valley and the French side of the tunnel is in Chamonix, Haute-Savoie. As you enter the tunnel you are given a card that can be attached to the rearview mirror and explains what you need to know to drive in the tunnel including distances between you and the vehicle in front of you (150 meters or 492 feet), speed limit, and what to do in case of fire. After the terrible 1999 fire incident in the tunnel it makes sense for drivers to pay attention to the warnings and understand what to do. But honestly, the “red” side of the informational card takes some time to decipher. Is it to be read as a continuous sequence of events or separate triggers for actions? Probably the latter. If smoke is coming out of a car, stop. If you turn off your car, put on the car’s hazard lights. If you see smoke coming out of a vehicle, stop at least 100 meters (328 feet) from it and flee. Flee to the nearest emergency chamber. Look at the card and decide for yourself. Also check out this article on improvements made to the tunnel. Thankfully, we passed through the 11,611 meter (7,215 mile) tunnel with no incident. We exited into a snowy Chamonix and made our way to Morges, but not before a surreal lunch in Annemasse France where all our French escaped us and we could only mutter in Italian.